Empty Your Mind, Strengthen the Body – Our Dana Point Tai Chi & Qigong classes are perfect all ages looking for the calming balance of Tai Chi’s exercises and moving meditation. Our Tai Chi classes use standing postures and slow, mindful movement to develop higher levels of awareness in the mind and body. Practiced for their proven mental and physical health benefits as well as for longevity, qigong focuses your mind, strengthens your body and revitalize your energy. Tai Chi Classes For Seniors! Our Tai Chi classes for seniors are low impact exercises that strengthen the legs, increase balance and regulate blood pressure. For seniors, Tai Chi reawakens your senses and awareness. In fact, some seniors who practice Tai Chi say they’ve never felt so alive before. But in all honesty, these classes are great for people of all ages looking to improve the quality of their lives. We have growing group (men and women) who are very passionate about our practice. They are very welcoming to new people and love sharing the practice with others. Our Dana Point Tai Chi / Qigong (aka “Dragon Family Tai Chi/Qigong”) practice is based largely on the internal principles of the traditional Chinese Taoist internal arts. Our Tai Chi/ Qigong incorporates movements and energy work from Tai Chi’s Chen Village – the oldest known family of Tai Chi. Other influences include is largely based upon the soft, internal, elements hidden from within the art of Wing Chun (AKA Yong Chun Chuan). Tai Chi is Peace of Mind! What if you could operate at a frequency so deep that shallow problems skim right past you? That’s very much possible. 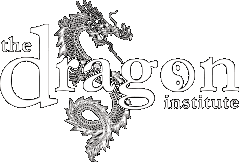 The level of calmness The Dragon Institute’s classes offer peace of mind through mental and philosophical applications to modern life. Within each class, there are life-changing lessons that have the ability to revolutionize the way people look at things. Students learn to look at things in a whole new way…more balanced, simplifying issues, clarifying opportunites, prioritizing tasks,operating in the present, becoming more efficient, confident and self assured, relaxed and calm, focused and aware, andmuch more! Everything students learn is in complete harmony with Traditional Chinese Medicine. Students learn powerful healingmovement and preventive medicine using deep breathing, moving meditation, postural healing and energy sensitivity drills to cleanse, balance, and circulate the body’s vital energy (qi). Make no mistake, The Dragon Institute’s classes leadto improved health, vitality and a more relaxed mind and body!